Ivan is an accomplished technical manager with extensive oftware architecture and engineering background. Delivering flagship API programmes for some of the largest businesses in the world, Ivan has strong focus on business outcomes and works hard to ensure technology and delivery are streamlined to deliver on business goals. A strong technologist, he is equally comfortable working with architects and developers but also non-technical business stakeholders, including C-suite evangelising and reporting. 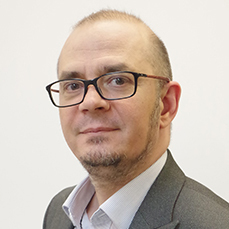 Ivan’s previous projects include leading PSD2, Open Banking and API Programmes for major global banks, leading API delivery for a global mobile operator, leading delivery of a consumer facing single sign-on solution at a major UK bank and several technical manager and architect roles in various software development projects. Ivan’s main technical focus areas are Integration architecture, REST APIs, Mobility, Security and Identity. Ivan is proficient in Agile, Scrum and PRINCE2 in project management, scrum master or product owner roles. Ivan has a BSc in Electronics and Telecommunications from the University of Nis, Serbia.